Man, John (2007). 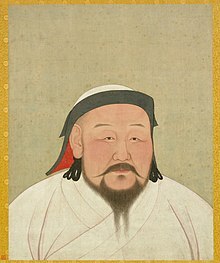 Kublai Khan: The Mongol King Who Remade China. London; New York: Bantam Press. ISBN 978-0553817188. Morgan, David (1986). The Mongols. New York: Blackwell Publishers. ISBN 0-631-17563-6. หน้านี้แก้ไขล่าสุดเมื่อวันที่ 9 มีนาคม 2562 เวลา 21:16 น.